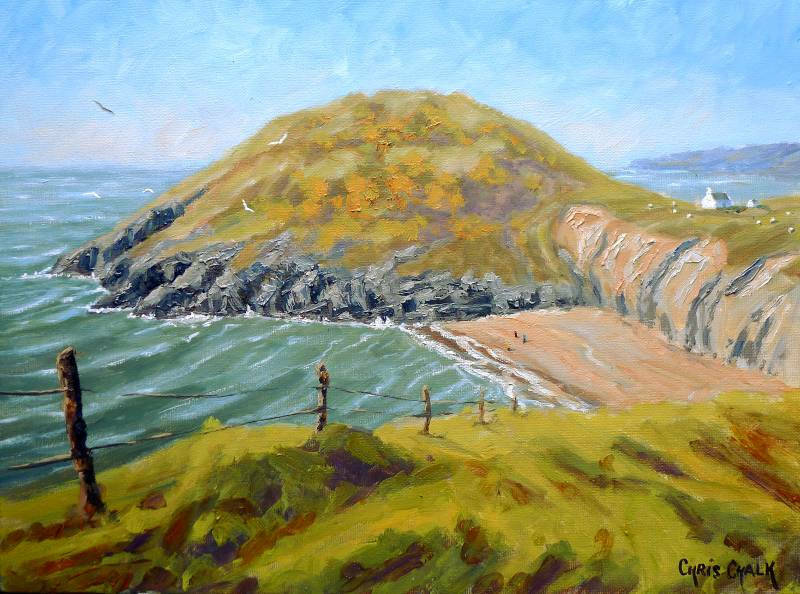 I love painting Mwnt, it's one of my favourite Welsh beaches. 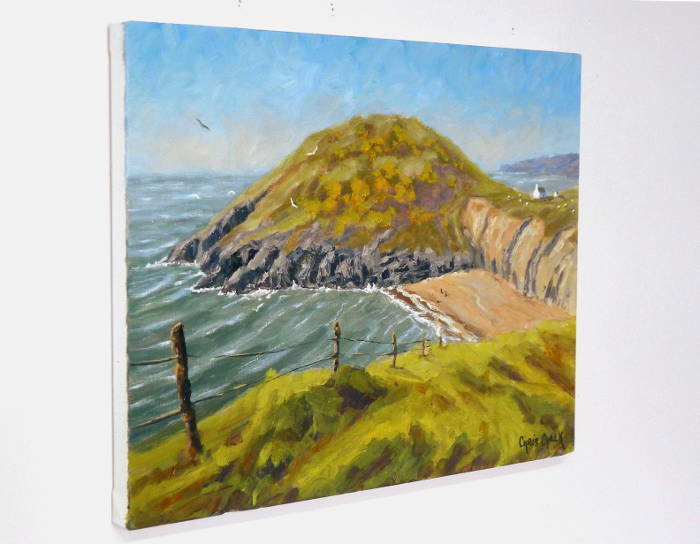 Here you see Mwnt in late summer/early autumn with the gorse in bloom and those warm ochery colours that are so indicative of west wales in the later part of the year. This view is looking north toward Mwnt from the Ceredigion coast path.